E&B Natural Resources embraces the mission of giving back and has contributed funding, goods and in-kind services to local communities in which we operate over a number of years. In 2014, the West Coast Oil and Gas Award for Excellence in Corporate Social Responsibility went to E&B as the company best demonstrating a dedication to the greater good of local communities by taking socially, ethically and environmentally responsible actions as well as surpassing a high contribution threshold. Learning from Experience: E&B is proud to participate in a summer internship program that exposes high school students to quality careers that span the educational spectrum. Longtime educator Debra Maxie, former Vice Principal, Crawford High School, San Diego, CA and California Student Aid Commissioner (CSAC), “truly appreciates being a part of the program” that empowers youth to have a bright future. 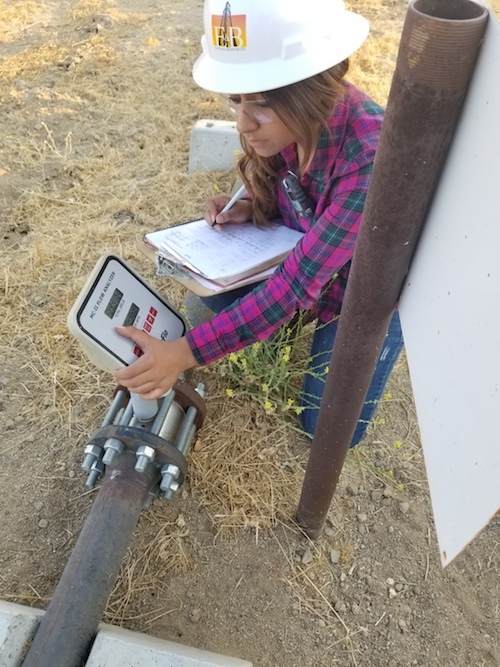 Through collaboration with other public and private sector partners, E&B provides funding for paid summer internships and real-world work experience for graduating seniors from several California school districts. Interns develop tangible skills and a practical understanding of industry opportunities that can help lead to well-paying careers. Knowledge through Engagement: E&B arranged opportunities for students to learn about energy and tour oil industry operations. Students from the San Diego Unified School District and Cuyama Valley High School toured operations of E&B oil operations. Students from Los Angeles High Schools and Cuyama Valley elementary schools attended educational energy exhibits thanks to E&B. To help ignite the interest and encourage the imaginations of nearly 200 Carson-based Stephen M. White Middle School students in science, technology, engineering and math (STEM), our company provided transportation for them to attend the STEMStarts Festival at West LA Community College. Preparation with Education: E&B has supported the Santa Barbara Foundation’s Energy Partners Fund since 2013. This committee advised fund awards grants and supports educational programs and organizations focusing on levels k-12 science, technology, engineering, and math (STEM). The Energy Partners are a diverse mix of oil and gas companies joined with community partners to bring STEM alive to local students, teachers, and non-profits. Grant funds support a variety of Central Coast programs that promote education on and enthusiasm for STEM. Grant recipients include schools, museums and educational organizations. 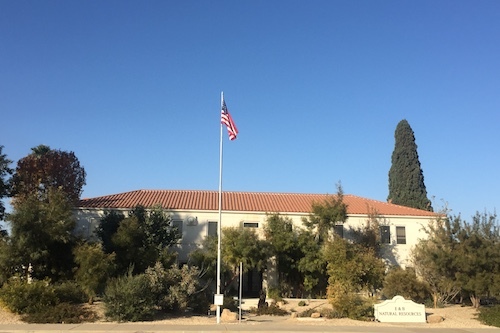 Long before one of the longest and most severe droughts in California, E&B incorporated water conservation solutions at the new Oildale based headquarters. Since traditional landscaping can consume 50-70 percent of overall water use, E&B’s resulting Xeriscape landscaping significantly reduces this consumption and presents an attractive community aesthetic. To create this innovative design, E&B looked to one of our employees, who is also a landscape artist. “My vision was to create something that bloomed year-round, included botanically interesting shrubs and trees, and is appropriate for our Bakersfield climate,” said David Schwartz, winner of “the Best Use of Color in 2011” by the California Landscape Contractors Association of Kern County. E&B’s enduring commitment to social responsibility is driven by the dedication to community betterment that is deeply and proudly embedded in the company’s corporate culture. This commitment remains steadfast throughout oil industry economic fluctuations. Honoring our Veterans: In recognition of their tremendous sacrifice, E&B raised over $200,000 to support the Tragedy Assistance Program for Survivors (T*A*P*S). TAPS delivers emotional support, grief and trauma resources, casework assistance, and connections to community-based care to people grieving the death of a loved one resulting from American military service. Holiday Happiness: Through our company headquarters in Oildale, since 2011 E&B has donated over 500 Christmas trees, gift cards and decorations to families in the local community. E&B also participated in Oildale’s Halloween Trunk or Treat for the last two years. Promoting Environmental Education: E&B has contributed to the Kern Environmental Education Program (KEEP) since 2013. This program delivers residential outdoor science education for Kern County 6th graders on a coastal campus. Students use the natural environment as a living laboratory, learn about ecological concepts and create lifelong memories with their classmates and teachers.